On 15 January, Silence Circle and Geeksphone announced the release of a new terminal with a unique feature: it is based on privacy and security. In recent months we have lived more intensely than ever the issue of security and privacy on mobile devices. There have been major scandals involving security breaches of major companies belonging especially to the social networks sector, and some unclear business have been uncovered, such as tracking of private telephones of political leaders. However, this issue is not new, and security and privacy have long been a matter of concern to many people. Silent Circle is a global communication service that provides encrypted services for mobile devices, allowing safe transfer services of voice, video and text. Now it has decided to join forces with Geeksphone, small Spanish company known for being the first European company to make an Android smartphone in 2009 and the first one to launch a device with Firefox operating system. Together, they are about to launch a new device called Blackphone which use the knowledge of Silent Circle encryption to ensure the maximum privacy possible today. The phone operates with its own version of Android called privatOS that enables secure data encryption of voice, images and video data. The Blackphone has the same benefits as any smartphone in its class, but with the difference of privacy and security in all its functions. With this device, we can make secure phone calls, store and share files safely, browse in completely private mode and keep all our activity anonymous through VPN. 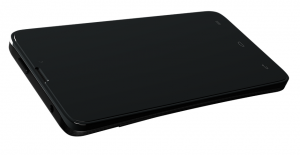 Blackphone detailed specifications are not known yet, but the device will be presented next month in Barcelona during the MWC. From that day, the phone will be available for pre-ordering.